Note: A minimum quantity of 758 must be ordered, and in units of 1 thereafter. 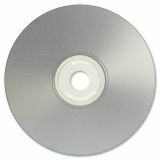 Verbatim CD-RW Discs, 700MB/80min, 4x, w/Slim Jewel Cases, Silver, 100/Carton - With a silver inkjet printable surface qualified for high-resolution photo quality disc printing, DataLife Plus Silver Inkjet Printable CD-RWs provide exceptional printing and recording performance on CD/DVD inkjet printers and duplicators. Silver surface provides luminescent background for vibrant rich colors. 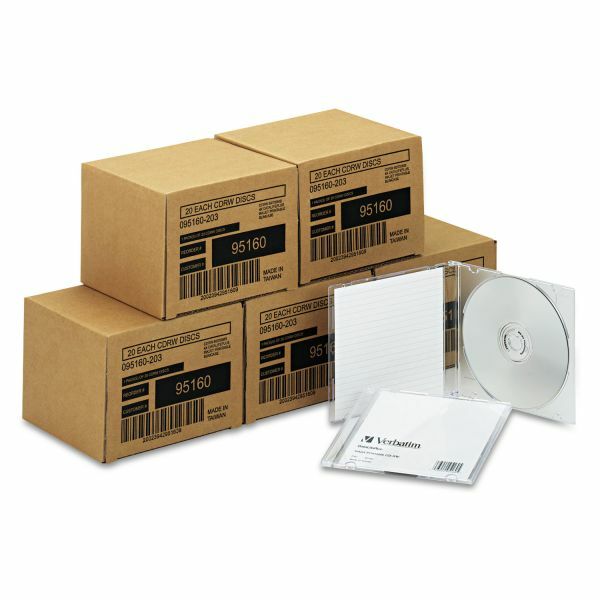 Qualified for use with CD/DVD inkjet printers from Primera, Microboards, Epson and others. Delivers crisp and clear text reproduction. Discs can be erased and rewritten to multiple times. CD-RW allows full color, high-resolution photo quality printing (5,760 dpi printers). Certified 2X to 4X speed rewrite compatibility.